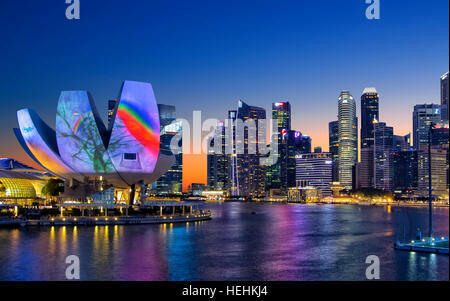 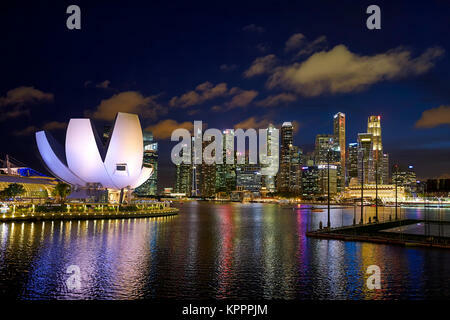 The Singapore skyline at night with the ArtScience museum in the foreground. 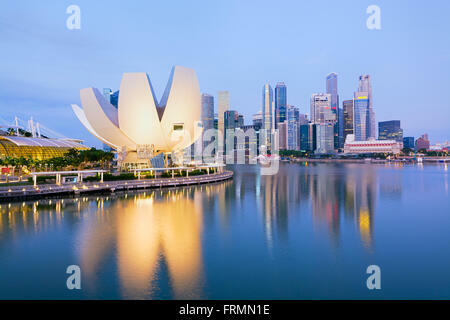 The ArtScience Museum at Marina Bay Sands with city skyline in background. 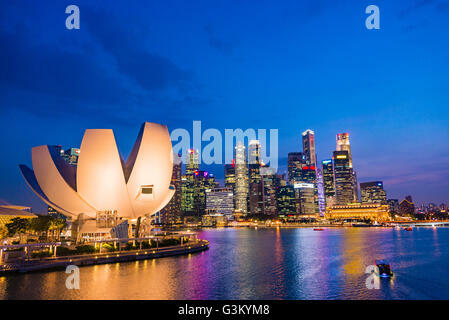 Marina Bay, Singapore. 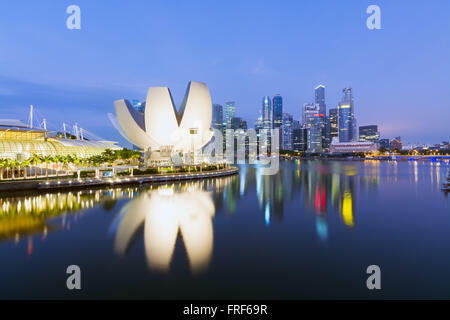 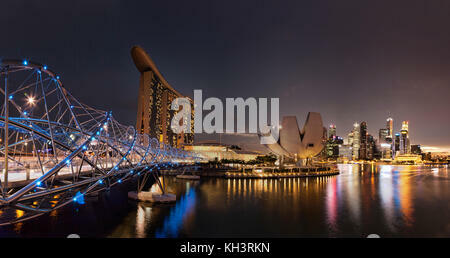 View of inner Marina Bay, Singapore, with the Helix footbridge, Marina Bay Sands hotel and ArtScience Museum. 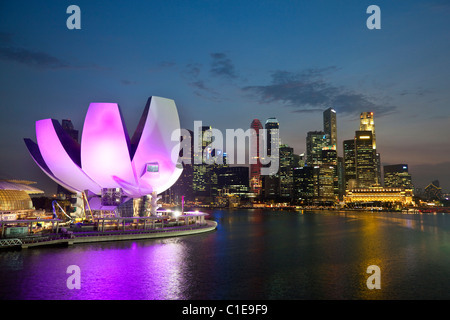 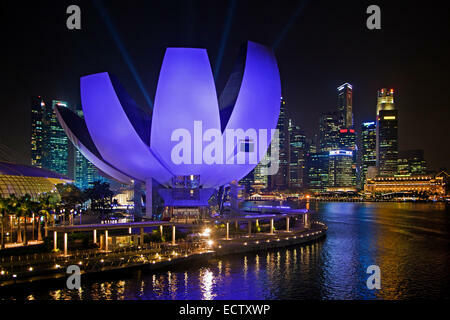 Singapore - Singapore April 10, 2014: The `Lotus flower` of the ArtScience Museum and the Central business district, Singapore. 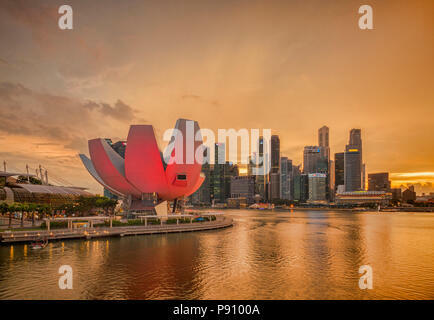 Singapore skyline under an orange sky as a thunderstorm begins, with the Art and Science Museum illuminated in pink. 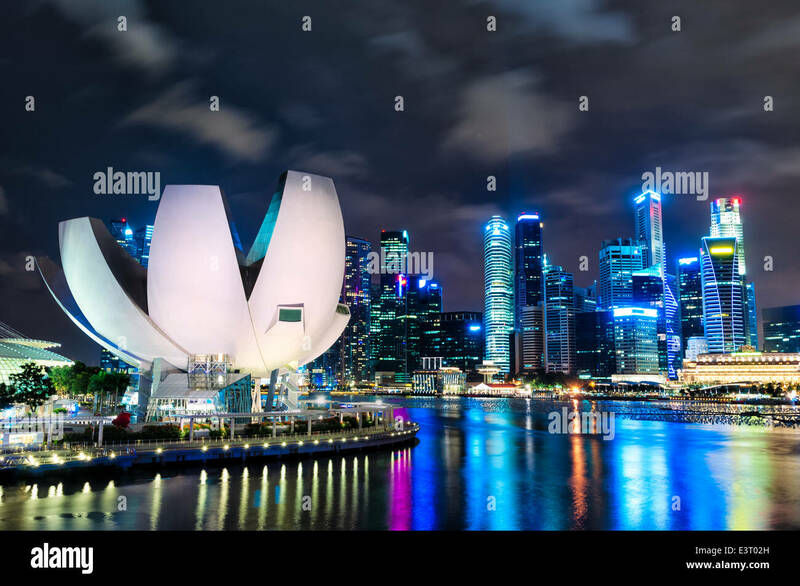 Architect was Moshe Safdie. 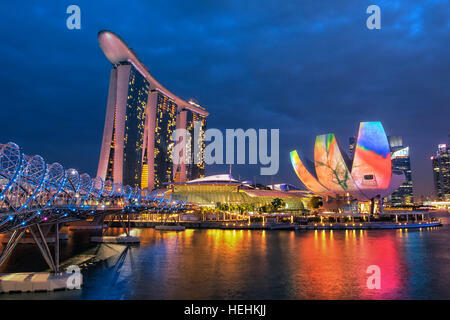 Marina Bay, Singapore at night. 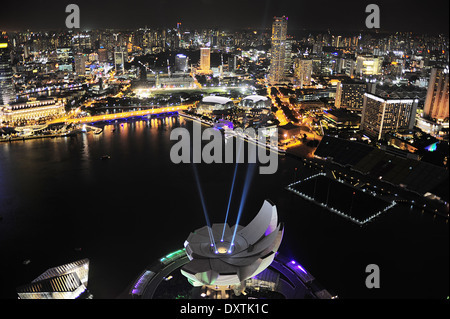 ArtScience Museum.